The game is developed on Unity3D, mainly for tablets. All physics written by us without using any built-in or third-party libraries . Goal: to beat the opponent's checkers from the board Mechanic: finger click on his checker, and a sharp movement mouse toss pot. Initial speed checkers depends on how sharply throw was made. 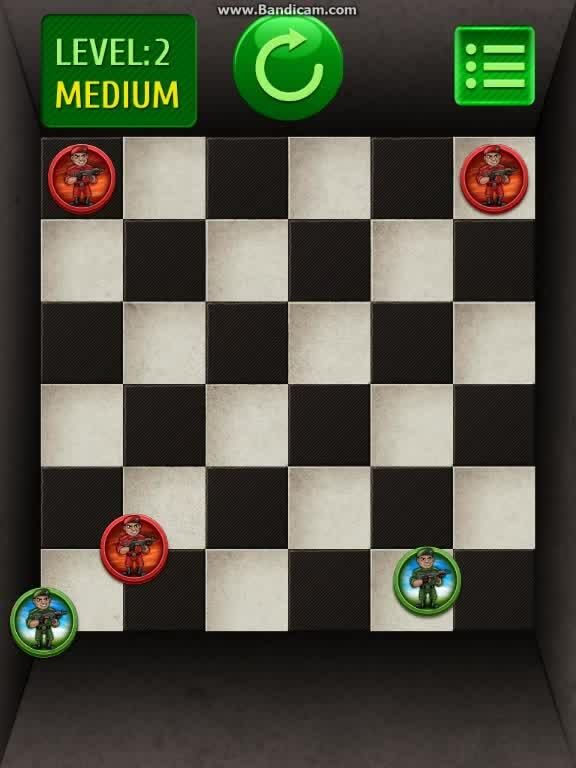 At this point in the game 10 levels with different sets of checkers player and the opponent's checkers . Opponent is the computer. There are three types of enemy difficulty : easy , medium and hard. For completing the level given star (1 , 2 or 3 stars depending on the difficulty level ) , as well as offering the next level. Checkers are of three types : 1. Infantry. The simplest block , without features. Weight 1. 2. Gunner . Feature: all checkers bounce by 25% stronger position. Weight 2 . 3. Tank. Feature: Absorbs 25% of the momentum from the impact. Weight 6.